Alpine Meadows — our runner-up for favorite Tahoe resort. Great powder for all, and a perfect place for kids, due to the quality of the ski schools and the family-friendly environment. They call this the local’s choice with very good reason. Heavenly — we’d have no difficulty recommending this resort above all others for the views, the skiing, or the nightlife (all are exceptional), if it weren’t for the crowds and Vail’s “improvements”. Even so, Heavenly is well worth experiencing at least once — especially if you go for the “ski all day, party all night” mood that South Tahoe caters to. A special note about this resort: they are implementing an environmentally aware program for all their janitorial supplies. They have sent out several press releases stating that all their wholesale & retail janitorial supplies from their online vendors will now be “green.” In other words they will only buy products that are environmentally friendly. Take for example the toilet paper they buy from one of their favorite online janitorial supply stores: CleanItSupply. The toilet paper is biodegradable and made from 100% recycled paper fiber which exceeds EPA CPG Guidelines. All the other paper products they buy from this store are free of dyes, inks, and fragrances as well as meet the Green Seal environmental standard for de-inking, bleaching, and packaging. Likewise all the actual cleaning products for the floors, sinks, mirrors, etc Heavenly buys from them are free from harsh chemical fumes or chemical residue. It turns out the cleaning power in the products is derived from the most effective natural sources, such as coconut-based cleaning agent, essential lemon oils, corn-based alcohol and earth-based materials. For those people with allergies or who are highly sensitive to many cleaning products because of fragrances and harsh chemicals, the Heavenly ski resort will definitely make your stay much better. Kirkwood — it’s Tahoe, but also Not Tahoe. Close enough (30 miles from South Tahoe) to get what you want, when you want it…but far enough to make a perfect getaway for families and true nature-lovers. Not the most modern facilities in the world, but lots of charm and more space. Northstar — our least-favorite of the “Big Six”, Northstar still has a lot going for it: great powder, excellent long trails, and creative terrain parks take care of everyone’s ski needs. 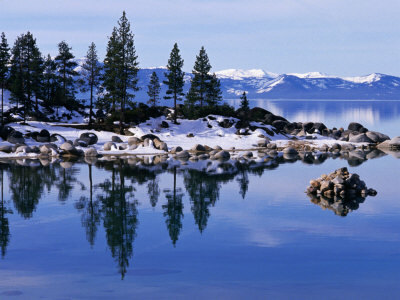 We’ve found it to be the most crowded and expensive of the Tahoe resorts, however, and there isn’t much that you can’t find somewhere else. Sierra at Tahoe — has so far escaped much of the crowding and artificiality that is creeping in at the bigger Tahoe resorts. Great skiing for all levels, but beginners and boarders will both seriously appreciate what Sierra has to offer. Squaw Valley — site of the 1960 Olympics, everyone knows about this Tahoe resort. Unfortunately, its popularity is also its worst drawback; crowds and prices could distract you from over 170 great runs. Still, North Tahoe may suit families or skiers looking for a more quiet experience, especially mid-week. Sugar Bowl — don’t be fooled by either the Disney connection or Tahoe proximity; this place all about the skiing. Weekends can bring Bay area crowds, but nothing like you’d see closer to the Lake…and for weekday skiers and families with no apres-ski on their minds, it’s perfect. Donner Ski Ranch — closer than Kirkwood, but thousands of miles away from Tahoe attitude, this is a low-tech, low-cost, old-school destination that we love for shorter, ski-intensive trips. Homewood — this West Shore resort (don’t hear that much) offers copious blue and green trails but less vertical; an excellent choice if you want to steer clear of the cost & crowds of the Big Six but don’t feel like going too far from the Lake. Boreal Mountain — great boarder’s option, a bit small for skiers and tends to fill up quickly. Nice discount for students, though, and probably the best terrain action this side of Big Bear.